What Do You Think of Goodreads’ New Look? Let’s Discuss! So, Goodreads just rolled out some new changes, and I have to say that I’m liking them. The new look and feel seems easier to navigate somehow – easier to find the things I’m really looking for. I think, honestly, just has to do with the fact that they made the images bigger. It’s amazing to me how much of a different feel that gives the site. Since I’m paying more attention to the lists now, I decided to go through and edit my Top Friends a bit so that I’d be sure to see reviews from those of you I’m friends with. I basically only kept people as Top Friends if I interact with them on at least a semi-regular basis OR if I know that they like the same books I do (or I just love their reviews). Going through the list made me realize that I have lots of random people I’ve never heard of on there and I was missing some of my best blogger friends! I wish that Goodreads made editing this list a little easier, though. First of all, it would be nice if you could see people’s websites right from the Friends screen – For the most part, I know everyone’s names, but sometimes the person’s Goodreads name might just be “Sarah.” Um, I know a few of those! Plus, as I was going through the numerous pages of friends, I would see people on there twice sometimes. The most annoying was probably the fact that if I deleted a friend completely (which I only did for people who had basically no books on their Goodreads shelves), it would take me out of edit mode and I’d have to go back up to the top of the page and turn it back on. Not user friendly! What do you guys think? 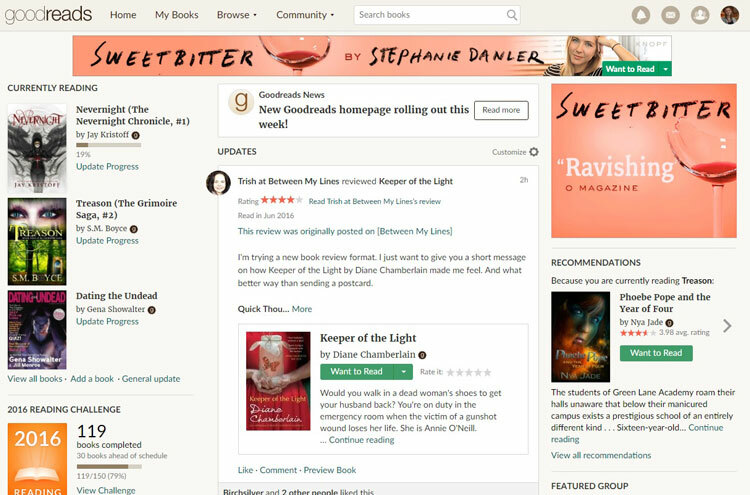 Do you like Goodreads’ new look, or is it all the same to you? Any new features I should be trying out? I want to know! Hmmm, interesting. I almost never go to GR anymore (it’s one of those things I just don’t do as an author anymore) but I do like it when websites go bigger. Bigger images, bigger text. Love it. S. J. Pajonas recently posted: SUMMER HAIKUS Is On Sale For The Olympics! I just notice the bigger images so much more – it draws my eye and invites me to interact more! I like it too. I have to go through and customize my tp friends. I didn’t realize you can customize what you see (ie only reviews). I have to check it out more I guess!! Yes, right above the Updates is a little Customize button that looks like a gear. Click on that and then you can change what shows up in your Updates. I love this feature! I’m not so fond of the large boxes with all the book information. I wish there were an option to collapse these so I could scroll through more updates more quickly. Or you could see the book info by hovering over the title. I also sort of miss seeing more than one recommendation at a time based on books I’m currently reading. I seldom took up any of them, but they were kind of fun to look at. Otherwise, I’m okay with it. The changes to Bloglovin’ are another matter — ugh! Funny that the thing that I like best is your least favorite feature. I find my eye being drawn to those updates a lot more and I feel like it invites me to interact more. I liked and commented on several friends’ updates and it just seemed so much easier to me somehow (even though I don’t think the process itself was any easier). Now I had to jump over to Bloglovin’ to see what was happening over there – I swear I was just on it yesterday and it looked normal. I guess the jury’s out for me about whether or not I like those changes. I’ll have to let you know once I try it out for awhile! On BL they’ve made a two-column feed and staggered the posts so your eye has to jump back and forth. That’s the main thing I don’t like now, but they’ve been making changes for a while that bugged me — mixing in more ads, removing the direct link to saved posts, etc. This is just the last straw for me. With Goodreads, I think I just have different preferences than most people! And I am sure I”ll get used to the new look. And I think you’re right that it invites more liking and commenting. Maybe I will get more into that than I have been. I’ve been playing around with Bloglovin’, and it might be possible to fix the 2 columns thing. Near the top of the feed page, there is a button with three dots. It’s right next to the “Mark All As Read” button. Click the three dots and select “List View (Small Images)” instead of grid view. Hopefully the three dots button shows up for you. Since the changes, my computer struggles to load Bloglovin’. Aha, thank you! That does help to at least restore the view I’m familiar with. I really like i. My fave thing is seeing the friends posts front and center. I don’t have “top friends” – and I like seeing everyone’s updates. Yes – I think having the Updates displayed really prominently encourages me to interact more! I’m liking the new look. I haven’t played around with it too much, but I like that the Goodreads challenge is near the top now. 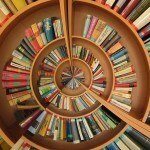 It’s much easier to see where you are at and the last books you read or added to your to-read list. It does let me view my feed a lot easier too. Yeah, I pretty much ignored my Updates before, but now that they’re more front and center, I pay attention to them. I had no idea you could edit it to just show reviews? I’m going to have to go do some exploring. My main issue is with the way they show friends’ likes and comments. Like, if one of my friends likes someone else’s status, the status just shows up on my feed and looks like every other status. So then I get confused and think it’s a status for one of my friends when it’s actually a stranger. So I foresee myself accidentally liking a lot of strangers’ statuses and reviews in the near future lol. I don’t see that, so I think that also would be fixed by customizing your feed. You can probably figure this out easily, but here’s how: Right above the Updates (on the right) it says Customize with a little gear next to it. Click on the gear and you can choose what things you want to see in the feed. Right now I have mine set to Reviews only and Top Friends only (don’t worry, you’re one of them! ), but I like that I can easily toggle this to see other things too! I think I’m the odd duck here because I never really go on the Home Page. I get daily e-mails, for all of my Goodreads friends, that lists all of their reviews and books added. So it doesn’t matter if I don’t go on Goodreads for a few days, I am still catch up on everything through my emails. Honestly, I had no clue there was a change lol. But I’m glad to hear that you like it. Now I’m going to have to click Home next time I’m on there! Well, in that case, it doesn’t matter to you what Goodreads does! Do you not even go to the site to post your reviews? I think some people’s biggest problem is that it’s new. Most people don’t do well with change. I’m sure once they’ve adapted everything will work out smoothly. (And yes I’m including myself in this). How many times have we grumbled over Facebook’s changes and then we get used to them and it’s like nothing ever happened (at least some of them)? Yeah, anything new takes some getting used to. I’m liking the changes, but it still might be a challenge getting used to looking in different places for things. I didn’t notice it until one of the members of my goodreads group mentioned it, but I like it and find myself going to my homepage now just to see whats up instead of going to my groups bookmarked page. Glad to hear that it’s stood up to the test of time for you! I completely freaked out when Goodreads changed because Bloglovin’ just changed, too, and I wasn’t a fan of those changes. I couldn’t use Bloglovin’ for about 2 weeks because it was so broken. I rely on Bloglovin’ A LOT, so this was slightly devastating. I think the Goodreads changes will be cool when I play around with it more. Right now, I’m seeing a lot of stuff in my feed I don’t care about. 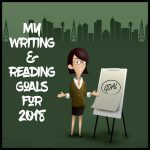 I actually hadn’t seen the Bloglovin’ changes until after I wrote this – they must have been rolling out the changes in stages like Goodreads did. I think the Bloglovin’ changes will take more getting used to, but I’m reserving judgment for now. I honesty think goodreads has such more of use then what I use it for. Maybe I should go on and see all of what it can do. Anyway, I actually like the new look! I don’t think I utilize it as much as I could either. Some people are really active there, and I mostly just post reviews and sometimes like someone else’s. I like how my friends’ reviews are really featured now, though. I don’t spend a lot of time on my homepage, but my first reaction when I saw the new design was that I really liked it. It seems so much cleaner than it was before! I have never really used GR as a social networking site and don’t tend to interact much with others, aside from reading reviews if it’s a book I’m already interested in.In some cases I will post a small review or update, but generally I rate books and review them elsewhere… I may have to look at changing that up. I agree that it looks cleaner. I really like that my friends’ reviews are more prominent now. I agree that you should definitely consider adding your reviews there too. Cait @ Paper Fury recently posted: Should The “Special Snowflake” Trope Be Retired And Left 20,000 Leagues Underground Or Is It Still Fun? I usual use the app and I’m hardley ever on my homepage in a browser but I do like that my challenge is posted near the top now. The app didn’t change at all then? I haven’t checked it out yet. I’m not sure what I think about it yet. I honestly never used the homepage much previously, and I’m not sure if I’ll use it more now or not. I had the Top Friends thing before, in that I only get e-mail updates on Top Friends when they publish a new review. Didn’t want to get spammed with reviews from tons of people I never actually spoke with. One thing I did notice that amused me though. The section on recommended books? Mine said that since I had read and liked an Amish Cozy Mystery, I might also be interested in this random sci-fi romance. I’m… not sure how those 2 go together? *lol* I like sci-fi, and have nothing against romance in books, but suggesting that because of an Amish mystery was weird! I don’t know yet lol. Changes are hard for me haha – it seems like things switched. I’m used to them being on the right, and they are now on the left. And I’m still getting confused. But yes, the bigger design is good, and you can find stuff much easier. Yeah, I’m not sure why they switched sides for those things. Maybe people naturally look to the left more since that’s where your eye goes first? I also like the bigger images, but it feels cluttered to me. I would have liked it better if it were still two columns, I think, and just with this design. I love the like and comments section now better, too. At first, I was all like “what the hell” But a few days later and I like it. I agree that it makes stuff easier to find. I don’t have the problem with friends, though. I put up a question. It was a simple how did you find me? Tere is no wrong answers, but you fail to put an answer I am not adding you. This cut-down TREMODSOLY on the spam accounts. I haven’t used the new design yet, but I hope it seems to make things a little easier and more relevant for users. I can’t decide if I have a problem with it because it’s not familiar, or what. But I’m slowly getting used to it. I will have to do the editing of my list so I just see the reviews! Good to know. Right at this moment, I don’t like it. But I am sure I will come to love it. The reason I don’t like it right now is because I have such an aversion to change. I didn’t know you could make those changes to your Goodreads page though. I may have to do that. I’ve been using this new layout since it was in beta, so I’m pretty used to it. I like everything except the three columns. IMO you only have three columns if you’re trying to find places for all your clutter. I don’t like how smooshed the centre column looks. Like Ashley, I’ve been using the new layout since it was in beta. I like the larger, easier to read text and images. But overall, I think the site still looks cluttered and outdated. I like the new look! I am usually all weird with change, and resistant, and all that jazz, but I actually REALLy like this, it works for me. I do need to go and play around with it a bit more, but so far I am a fan. I went through a while back and tried to remove some of my not-actually-top friends, so that helps too- I love that I can see MY stuff AND everyone else’s- it’s like an added bonus (because let’s be real, I usually come to see my own stuff, and this is a nice perk!) I am trying top friends only now, but I also need to make sure that all my ACTUAL top friends are listed as such! Great post, I hadn’t even looked to see that I could change that stuff, so thanks! I completely agree about it needing to be easier to edit friends! I like the new look now that I’ve gotten used to it, but I’m annoyed they changed some things that don’t seem to matter one way or the other, like the location of the books I’m reading widget. It doesn’t matter to me where it is, but I was used to it at the original location! I don’t use the social aspect of Goodreads at all. Maybe if I customize it so it isn’t just a list of random people adding to their lists, I would like it more. I haven’t played around with the new Goodreads as much, but I like the design. It resembles the new Page layout on Facebook. The design is easier to navigate, especially to find groups and authors. Hey, Carrie! 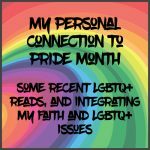 Did you get my email that you won the July Discussion Challenge giveaway? It’s been three days and I haven’t heard back from you, but I don’t want to give your prize to someone else just yet! Check your SPAM and if you don’t see it, shoot me an email (you can get to it from the sidebar of my blog!). Great discussion. I actually really really don’t like the new GR — I think because of the switch from right to left and then I find it hard to easily scroll through my timeline. I wish they hadn’t changed it!